Is Honda really going to create a CR-V-based compact pickup to replace the Ridgeline? It looks more and more like the disappointing Honda Ridgeline will be pushed off the cliff after the 2013 model. The Ridgeline will join fellow Honda model, the Element, in Honda&apos;s graveyard of discontinued automobiles. This, however, will not spell the end of all Honda trucks. 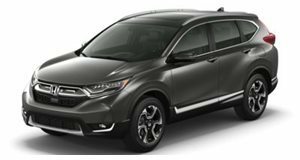 The Japanese automaker will bring the next generation Honda CR-V with a pickup truck variant, according to AutoWeek. The new truck could carry a 4-cylinder with somewhere close to 3,000lbs towing capacity. Honda has also planned an update for the new 2012 model of the Accord. The accord will be offered with a hybrid variant a la 2007. The same hybrid engine will also be featured on the CR-V. The new CR-V will arrive this winter. It precedes the Accord, which will arrive this spring. The CR-V truck could potentially arrive as early as 2013 to replace the Ridgeline. Photos dispalyed are of the Honda CR-V Concept 2001.